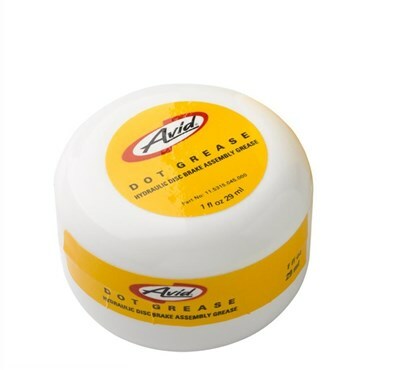 Avid pitstop Dot disc brake assembly grease keep brakes performing at their best. Compatible with all Avid disc brake seals. DOT disc brake assembly grease is specially formulated for Dot-fluid brake systems. For use on o-rings, seals, etc. when servicing Avid hydraulic brakes. Volume: 29 ml. Only need a tiny amount for shortening brake hoses so will last forever!